Your school group can explore the New York Aquarium's amazing animals on a guided tour led by one of our conservation education instructors. Your one-hour tour will touch on a variety of topics, which may include, among other subjects, classification, adaptations, habitats, biodiversity, conservation, careers, and climate change. Our collection provides very special teachable moments to solidify concepts approached in the formal classroom. When booking your tour, please let us know what will best meet your learning goals. PLEASE NOTE: Tours are for school groups only. To make a reservation, please call the Education Department at (800) 433-4149, Monday through Friday, 9am-5pm. You can also email nyaeducation@wcs.org with any questions about education programs or the registration process. All cancellations must be received in writing by email, nyaeducation@wcs.org, or phone, (800) 433-4149. 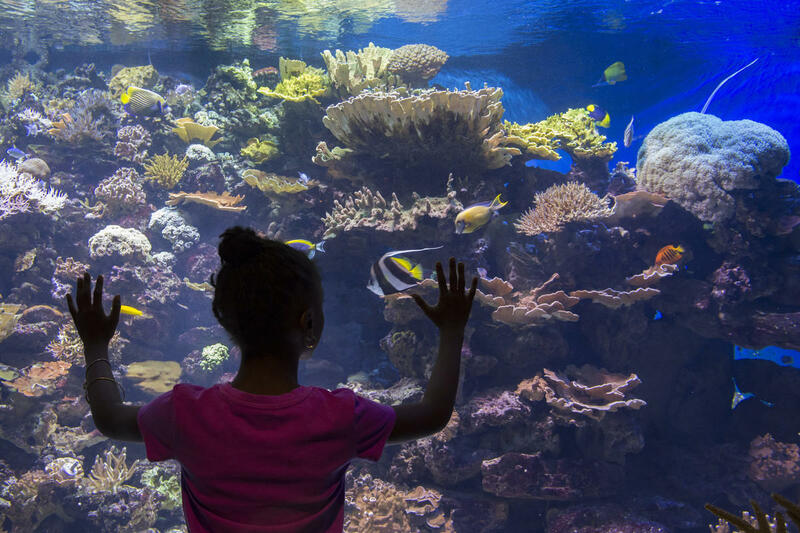 Join the New York Aquarium Education email list to receive updates on our programs and opportunities.